More iPhone 6 details have surfaced and this time a report out of South Korea claims they have details for the next iPhone 6 -- which it calls the iPhone Air. 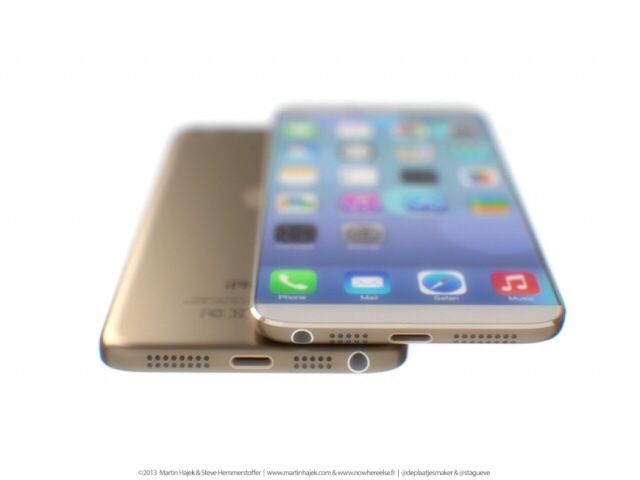 The iPhone 6 is rumored to be just 6 millimeters thin. For comparison, the current iPhone 5s is just 7.6 millimeters thin, while the iPhone 5c is at 8.97 millimeters. Reportedly, the next iPhone will also be made of metal, however it will be heavier than previous models, the source claims. The design of the iPhone 6 will largely remain the same and based on the iPhone 5s, however this source claims it will be larger than the iPhone 5s due to an increase in the screen size. Reports earlier this year pointed to Apple testing 4.7-inch and 5.7-inch screen sizes, but again, it was only a rumor. The most interesting piece of information from this report is the claim that the iPhone 5s will drop its price tag $100 in May with no explanation. Coincidentally, another report claims we will see an iPhone 'Phablet' released in May, which could lower the price of the iPhone 5s.